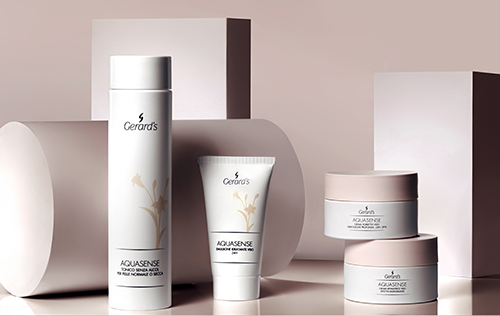 The innovative beauty line of cosmeceutical inspiration, created to eliminate the imperfections tied to skin discolouring and regulate face, neck and neckline skin ageing. 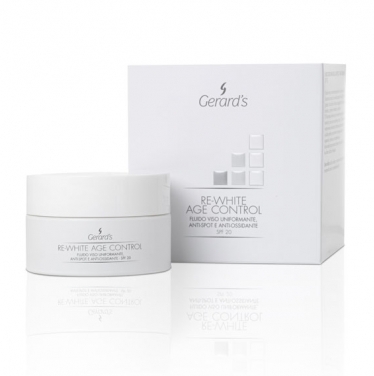 Thanks to a skilful blend of precious and powerfully synergic active ingredients, day after day, Re-White Age Control controls the size and intensity of sun, age or post-imperfection induced skin blemishes, minimizing them and giving a uniform and luminous colour to the skin, with an extraordinary global anti-age effect, whatever the age of the person. 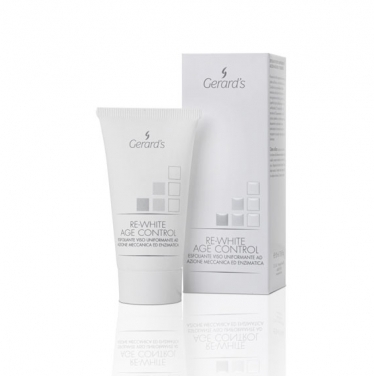 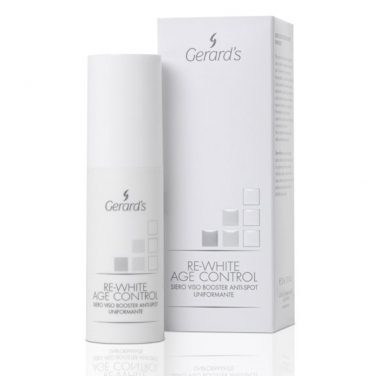 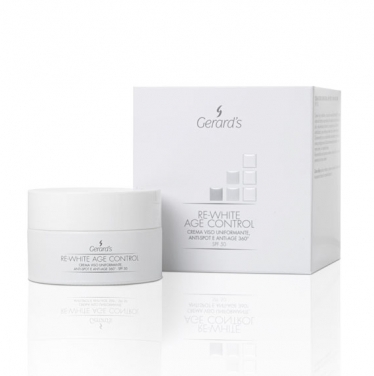 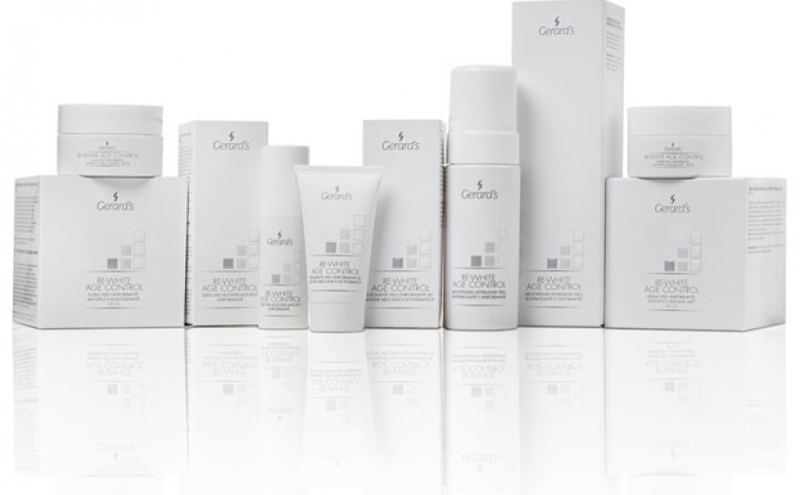 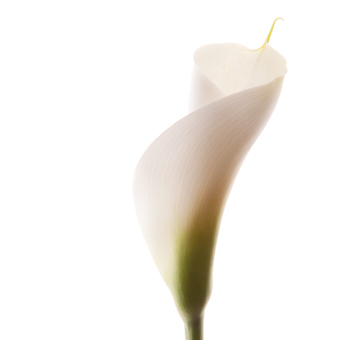 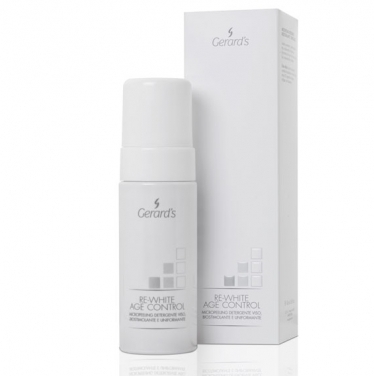 This product also protects the skin from damage caused by photo-ageing and prevents the appearance of new blemishes.